KIGALI – Rwandan President Paul Kagame has said relations between his country and Uganda are not about to stabilize because the Kampala regime does not believe in what Kigali officials tell them. In an interview with the East African newspaper, Mr Kagame said for long, the two countries have remained on tension because Ugandan officials continue to believe in what foreign-based Rwandan dissidents tell them as opposed to what his security officials tell them. He also revealed that dealing with Uganda is harder than dealing with Burundi because its leaders have opened up, and revealed that Rwanda is their only problem, unlike Uganda, which has remained quiet. Since 2017, relations between Rwanda and Uganda have been strained further following continuous arrests of each other’s citizens and counter-accusations of funding rebel activities. 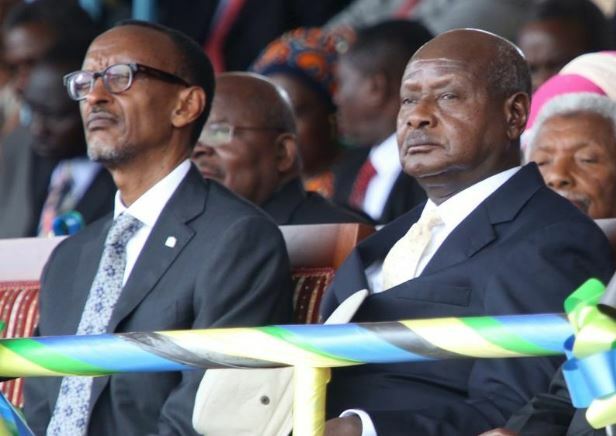 The tension was defused following a meeting between President Museveni and his Rwanda counterpart Paul Kagame on March 25, 2018 in Kampala. However, following the meeting, diplomatic relations worsened since the two countries reneged on their earlier commitments as arrests and deportation of Rwandans by Uganda increased thereafter. Kigali accuses Kampala of backing Rwandan dissidents seeking to destabilise Rwanda while Uganda, on the other hand, intensified its crackdown on Rwandans it says are on espionage missions in Uganda. In the interview, Mr Kagame urges Kampala to tread cautiously because those feeding it with information about Kigali’s intentions plan to war between the two countries so that they can strengthen their political positions against the government of Rwanda. He implies that the Rwandese renegades based in South Africa have calculated the easiest way they can prevail against Rwanda in case of any military confrontation is by inciting Uganda to fight their proxy wars against Kigali. In the interview, Kagame also reveals his achievements as the AU Summit Chairman. He also discusses personal things including why he never sleeps for longer than 8 hours a day. Since taking charge of the reforms in 2016, President Kagame promised to wean the AU off donor funding and cut down on the number of summits and commissions. His push to cut the commissions and make structural changes at the AU are his biggest win yet. He also pushed the African Continental Free Trade Area, though sub-Saharan Africa’s largest economy, Nigeria, is among countries that have not signed the deal. Still, out of the 22 required to ratify the agreement for it to take effect, 18 have done so.